Need something to do in the long winter? The Arts Council have something planned for you: be creative and apply for the Breakthrough Artist Award !!! A breakthrough artist is an individual or group that is in need of funding to achieve a new level of performance in their chosen area of talent. 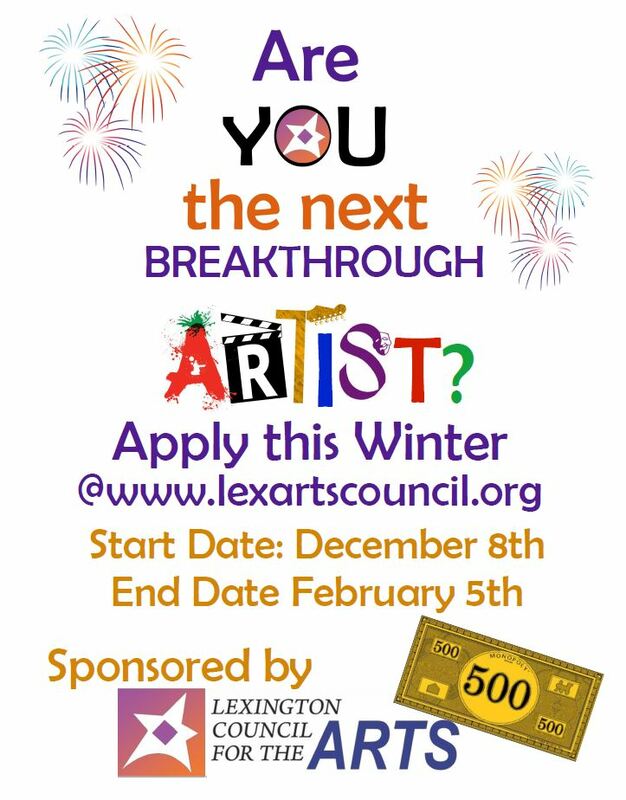 The 2018 Breakthrough Artist of the Year award by the Lexington Council of the Arts is accepting nominations. A breakthrough artist is defined as an individual or group that is in need of funding to achieve a new level of performance in their chosen area of talent. The cash award of $500 will be presented to the winner in September 2018. Remember our Breakthrough Artist of the Year 2017 Award winner Joel Kowit? He’s on LexMedia talking about his art!!! Don’t forget to stop by at Cary Memorial Library this weekend to see some of his work featured on the Idea Wall. Take a Ride on Patriot’s Day ! Come to join us and celebrate …. Are you curious about the Breakthrough Artist Aware Winner, Mr.Joel Kowit? Cary Memorial Library is hosting an exhibition of his art works. The Opening Reception will be held on March 10, 2018, from 2-4pm. Come to meet with the artist and learn the fusion of science and art !!! The Breakthrough Artist of Lexington Award for 2017 is going to be announced at the Board of Selectman’s meeting at 6pm, Monday, October 16.
at 7pm, Wednesday, October 25th.